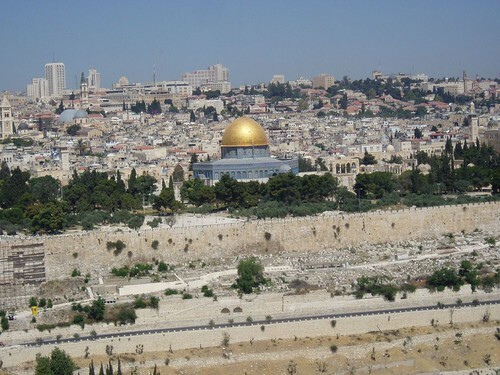 Jerusalem is 30 - 40 miles east of Tel Aviv and is about 45 minutes ride in the only East-West freeway in Israel. 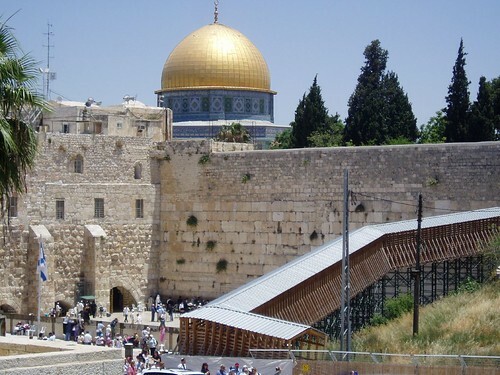 Several one day organized tours were available from many Hotels and I choose the Jerusalem city tour. It was a toss up between Jerusalem and Dead Sea and ultimately the historic city won over floating in the mineral rich water. This a holy place for three major religions, Islam, Christianity & Judaism and has been a flash point of several confrontations. Both Israelis and Palestinians claim the city as their eternal capital. Israel captured East Jerusalem in the 1967 six day war and have been controlling the entire city since then. Israel declared Jerusalem as its capital in 1980 and moved all its administrative, executive and Judicial functions there despite of the international opposition and UN Security Council declaration. Old city from Mount of Olives. The old city measuring about one SqKm is surrounded by walls and consists of Armenian, Christian, Jewish and Islamic quarters. 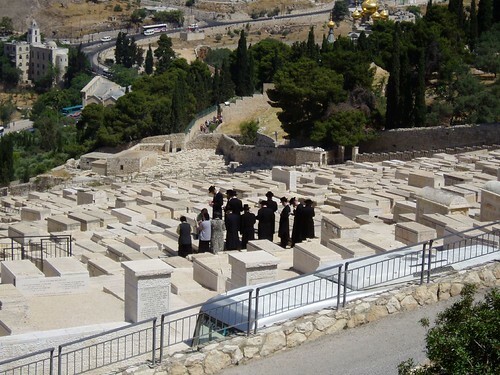 Jews performing a ritual at a cemetery in Mount of Olives. The cemetery real estate is highly sought after and goes for several hundred thousand dollars (USD). It is believed that the Jewish Messiah will descend down on the earth here in the Mount of Olives and resurrect those buried here. 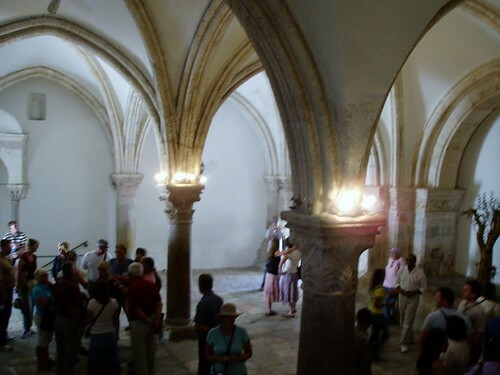 This supposedly is where Jesus Christ had his famous last supper. Jewish holy place Wailing Wall and Muslim holy place Al Aqsa (not in the picture) are right next to each other and what is separating them is the Wailing Wall. Jews praying at the Wailing Wall, which is one of the most sacred places for Jews. For centuries, they prayed at the wall as they were not allowed inside and thus became a holy place in itself. Security folks at the Wailing Wall. 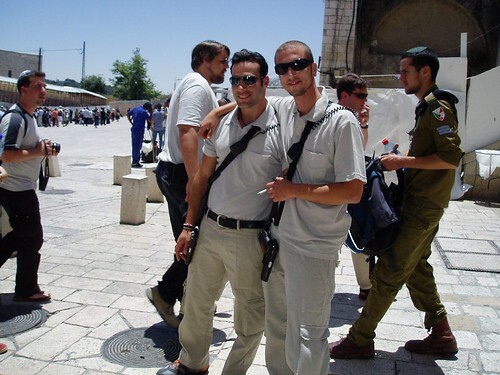 I found more uniformed and plain clothes security folks in Jerusalem than in Tel Aviv. They were very friendly and eagerly posed for photos. 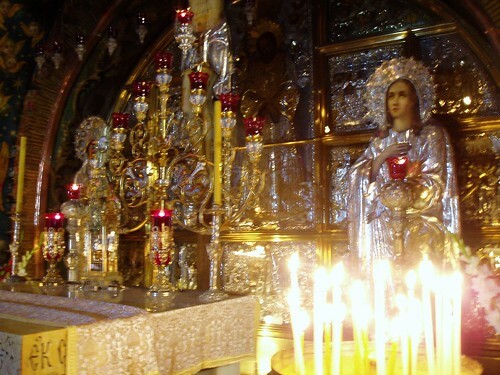 Holy place for Christians - where Jesus Christ was crucified. 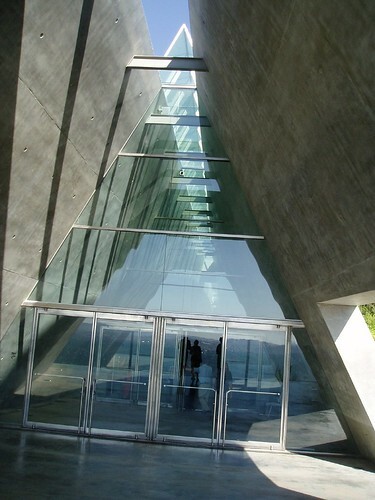 The new Yadvashem holocaust museum opened in 2005. We spent just an hour here and easily could have spent the whole day or even a few days here. It tracks the raise of Nazism and anti-Semitism in Europe and clinically documents how millions of Jews were put to death. I found this place deeply troubling. I wish had time to go and float in the Dead Sea, but that will have to wait for a later time..
1st timer. Enjoyed the vivid and attractive pics in your blog. Will chk back. Good coverage and photos. It gives me a feeling as though I went personally. Great pictures and nice write-up.